SACRAMENTO, Calif. (AP) - California Gov. 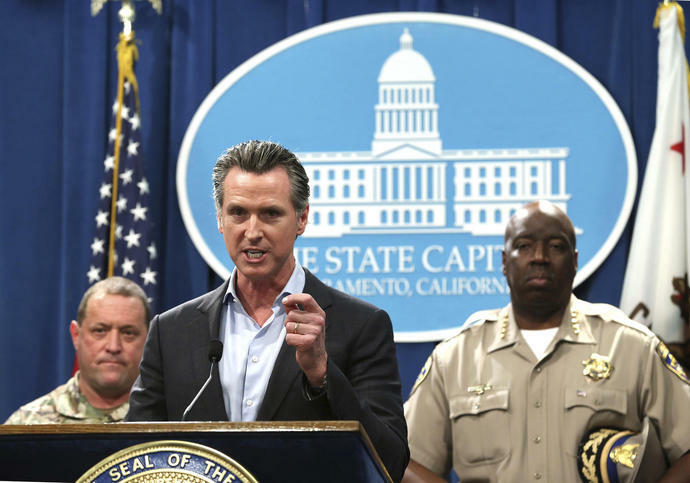 Gavin Newsom said Monday he's withdrawing most of the state's National Guard troops on the Mexico border because he won't participate in the Trump administration's "absurd theatrics" on border security. LOS ANGELES (AP) - A California appeals court on Wednesday questioned whether it has jurisdiction to decide on parole for Charles Manson follower Leslie Van Houten or whether the issue becomes moot after the governor weighs in.